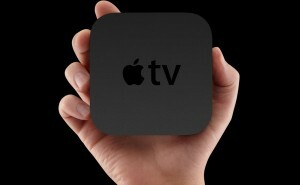 With Apple’s Worldwide Developers Conference less then a week away fans are surely excited to see there latest tech. Now although we shouldn’t expect anything to ground breaking, we’ll likely see a new version of the AppleTV device with more memory, improved graphics, and touch/speech capabilities. It’s expected the new AppleTV will feature the same A8X processor used in the iPad Air 2, which is a more then capable chip when it comes to gaming. That and the fact it will cost considerably less then the currant generation consoles, have additional TV streaming features and the convenience of the app store makes it a good option for the more casual gamer. Tagged with APple, apple tv, game streaming, gaming, IOS, microconsole, streaming.